What a difference one little year can make. 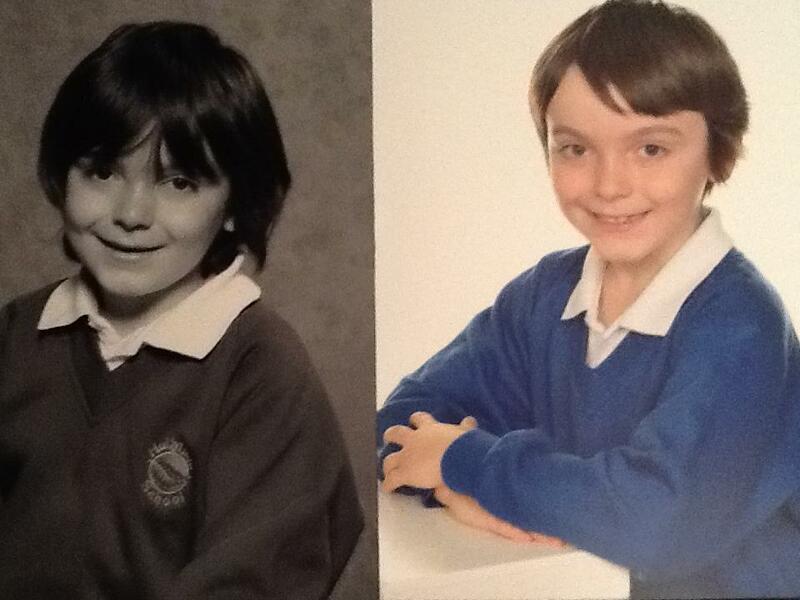 These are Henry’s school photographs. One from last November and one from this November. He has grown up so much, and achieved so much and done so many wonderful things over the last year and done them so well. In fact so well that it is easy to forget, or not realise or appreciate just what a big, huge, massive deal it is for him, and for us. This time last year we had a son-rise team and a Christmas outreach and team meeting. Something just doesn’t feel quite right! So this year me and Warwick will be toasting our beautiful boy, our fantastic team, all those wonderful professionals who still help us, our gorgeous girls, brilliant family and friends, the lovely support from Hollyfield school – teachers, parents and children, and especially all you lovely son rise families and your amazing children and all those who help you, who are all doing amazing jobs on your own personal journeys and believing in you all, the same as people believed, and still believe in us. We still believe we have already been given the greatest gift. Our life is so much richer in so many ways for having Henry.